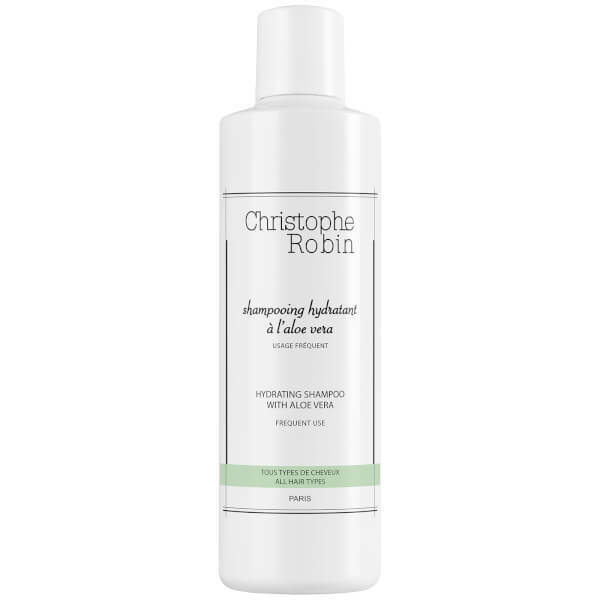 Haircare expert Christophe Robin introduces the Hydrating Shampoo with Aloe Vera. 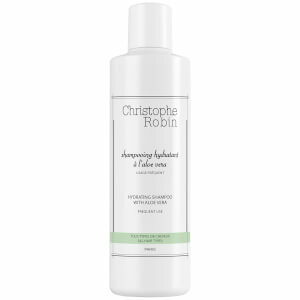 Ideal for all hair types, the lightweight, creamy shampoo gently cleanses the scalp of daily dirt and impurities without stripping away essential oils or damaging the protective barrier. A nourishing blend of Aloe Vera and Vitamins ensure hair is left feeling clean, fresh and replenished with a healthy-looking lustre. Free from parabens, silicones and SLS. Apply a small amount onto wet hair, emulsify, then rinse thoroughly. Aqua, Aloe Barbadensis Leaf Juice, Coco-Glucoside, Ammonium Lauryl Sulfate, Cocamidopropyl Betaine, Sodium Pca, Cannabis Sativa Seed Extract, Linum Usitatissimum Seed Extract, Glycerin, Glyceryl Caprylate, Parfum, Propanediol, Sodium Phytate, Benzyl Alcohol, Benzoic Acid, Limonene, Linalool.